Ferrari delivered the saltiest of takes after Sebastian Vettel was schooled by Lewis Hamilton at the Singapore Grand Prix, their official report claiming that "boredom was the winner" at the Marina Bay Circuit after Hamilton opened up a 40-point championship lead over his title rival. The top six from qualifying finished in the same positions, however, Ferrari were not quick to point out that Vettel had jumped Max Verstappen for second place off the line – only for the Scuderia's strategy to leave him hanging onto the final podium place. Ferrari appeared to mishear a radio message between Hamilton and Mercedes, prompting an early pitstop for ultrasoft tyres which was easily covered by Hamilton and opened the door for Red Bull to squeeze Verstappen back into P2. 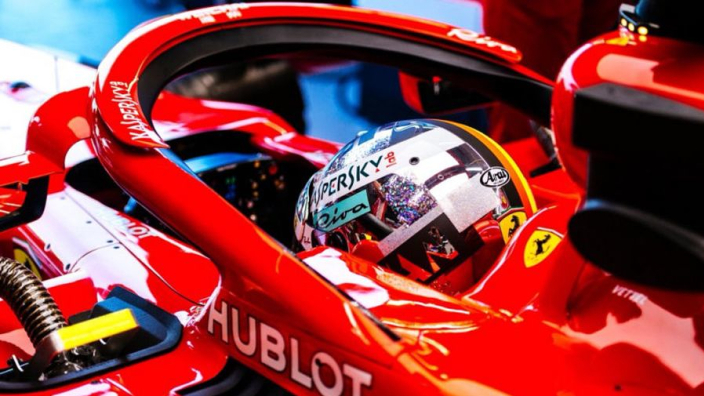 The official take from Maranello was dripping with irritation, beginning: "The Singapore race ran true to form, in that in the Monaco of the East, anything can happen, but usually nothing does." Blink and you'd miss a report of Vettel getting jumped by Verstappen. According to them, the German "got past the Force India [of Sergio Perez] on lap 17. But he'd lost a lot of time and he found himself right behind Verstappen as the Dutchman emerged from the pits."